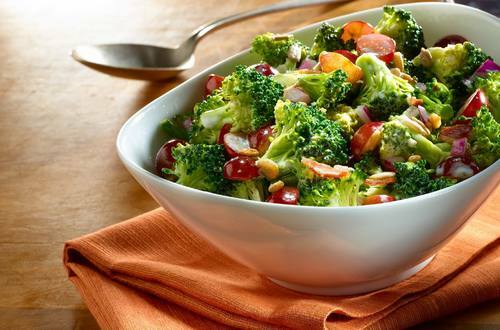 1 Combine broccoli, grapes, sunflower seeds and red onion in large bowl; set aside. 2 Combine Hellmann's® or Best Foods® Real Mayonnaise, vinegar, sugar and bacon in medium bowl; toss with broccoli mixture. Serve at room temperature or chill, if desired.